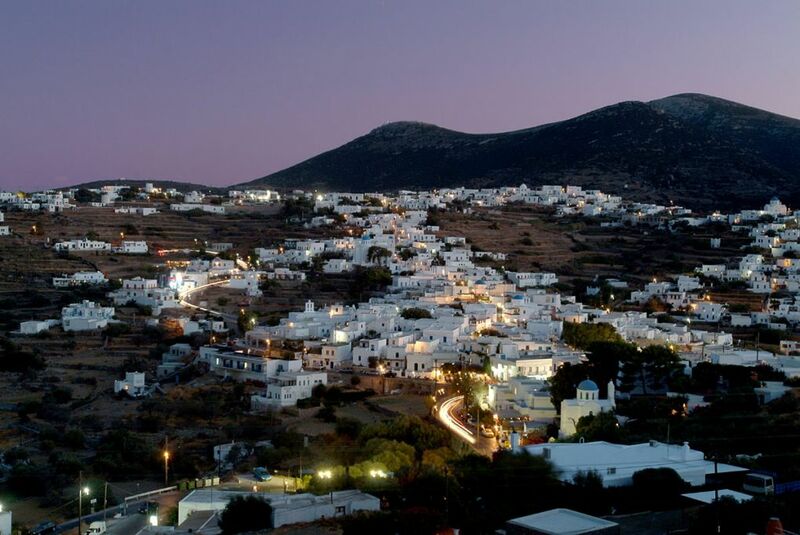 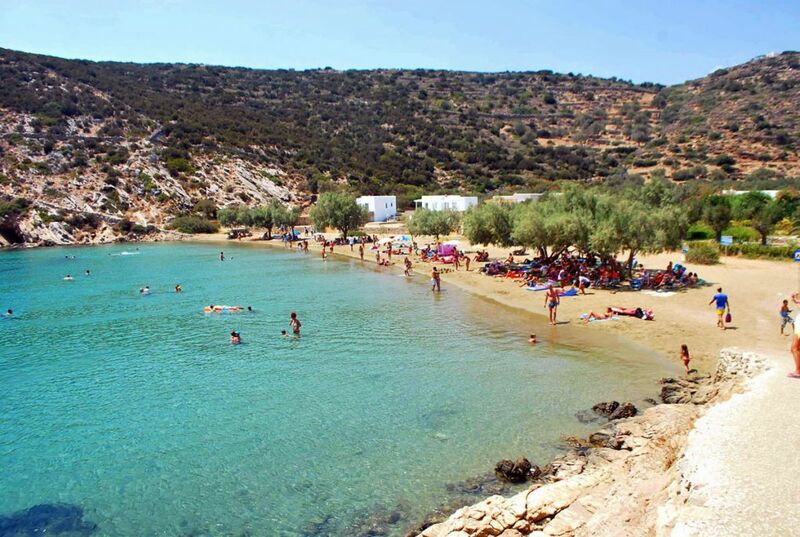 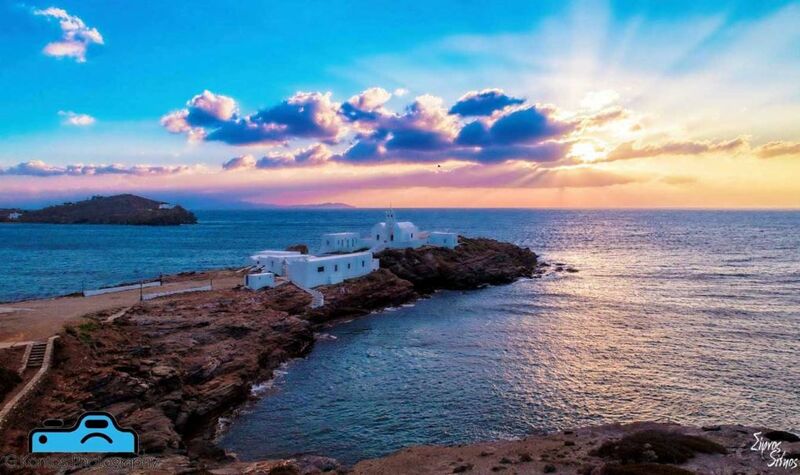 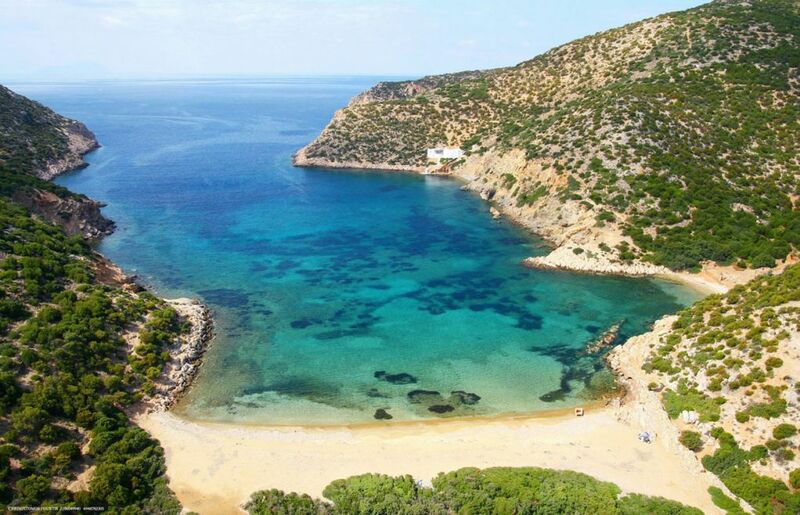 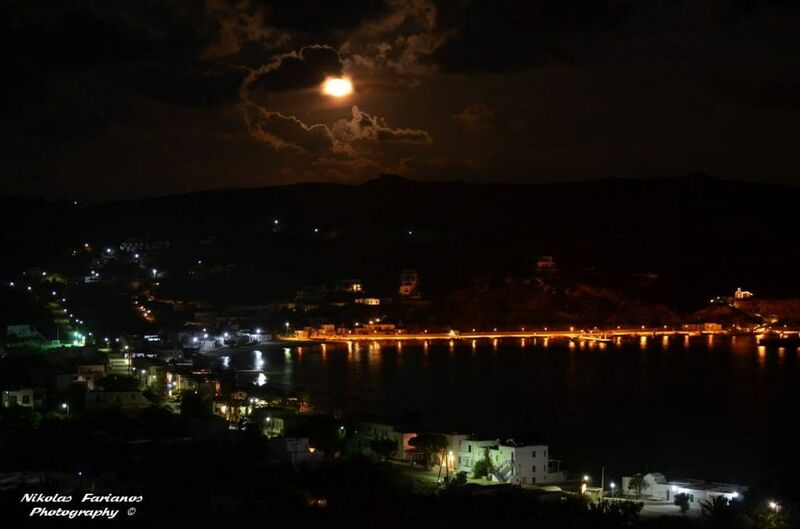 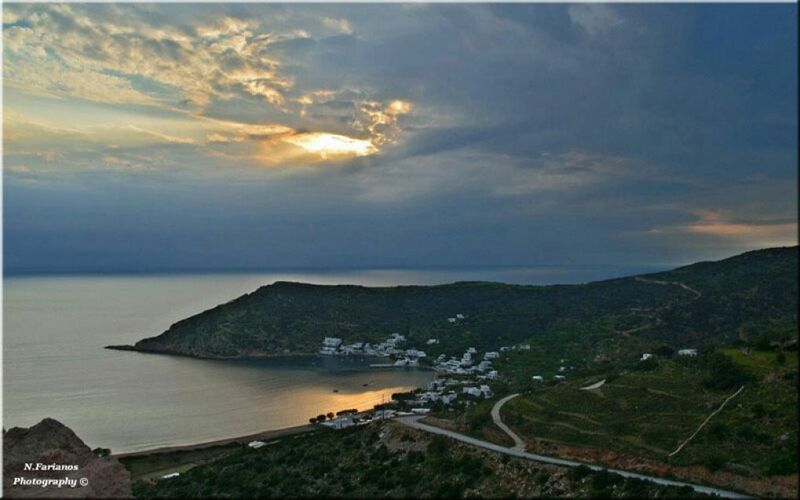 Ten kilometers from Apollonia and before Platis Gialos, you will find the most photographed spot of the island, Chrissopigi. 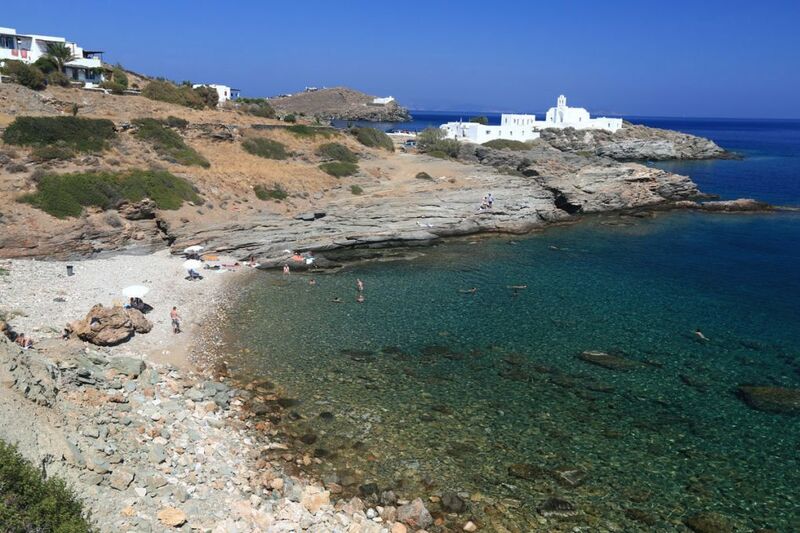 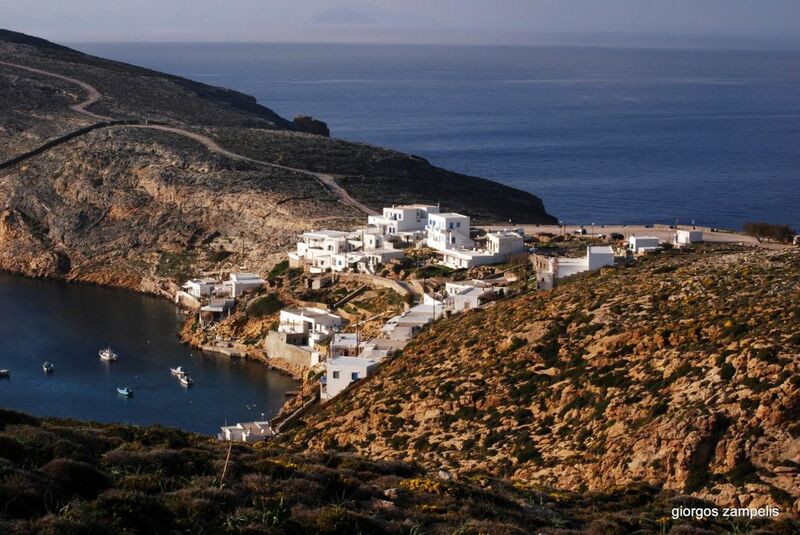 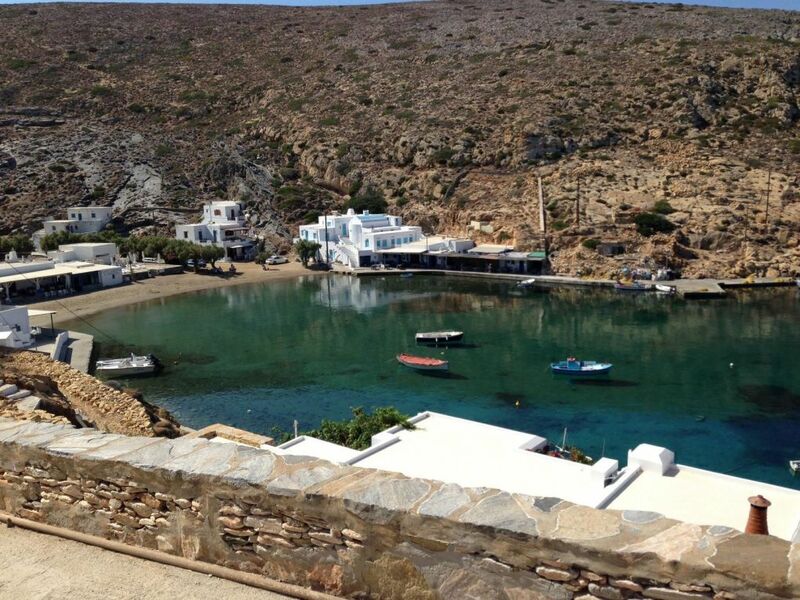 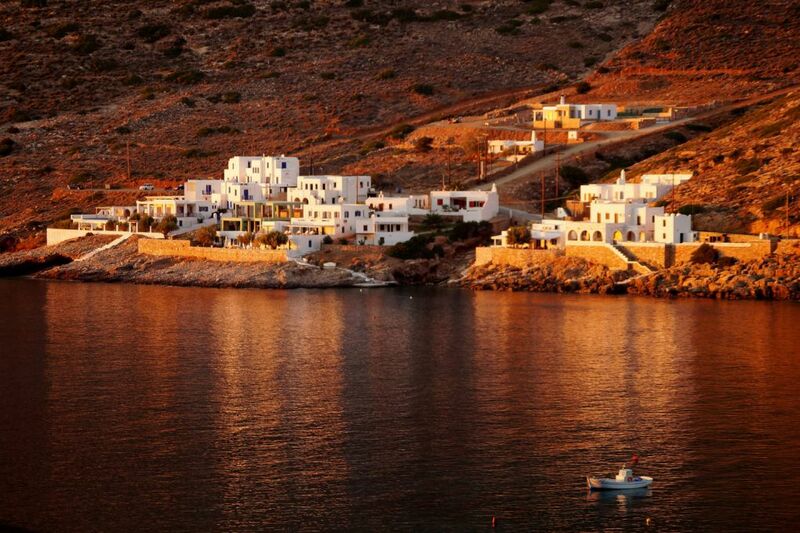 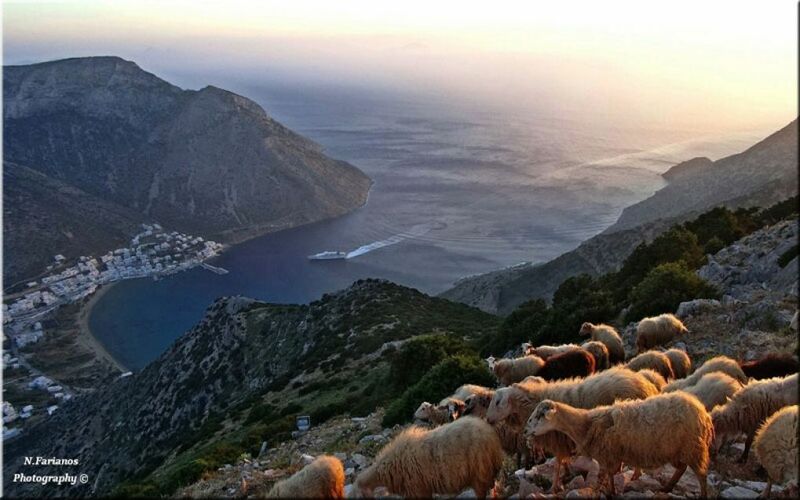 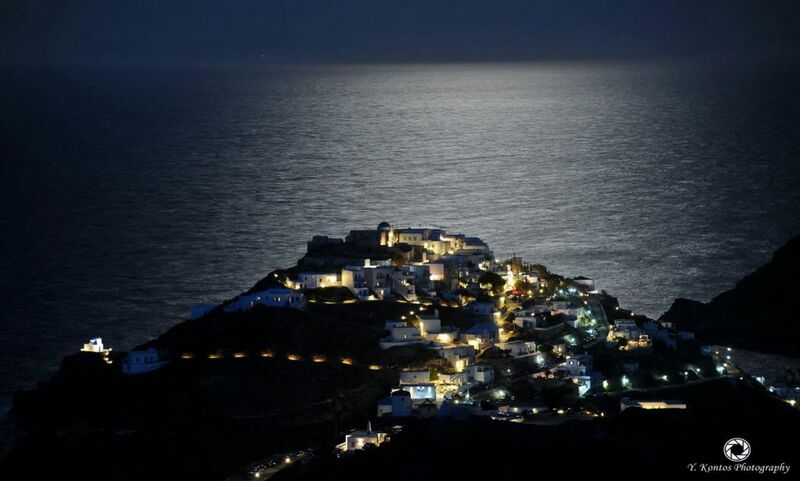 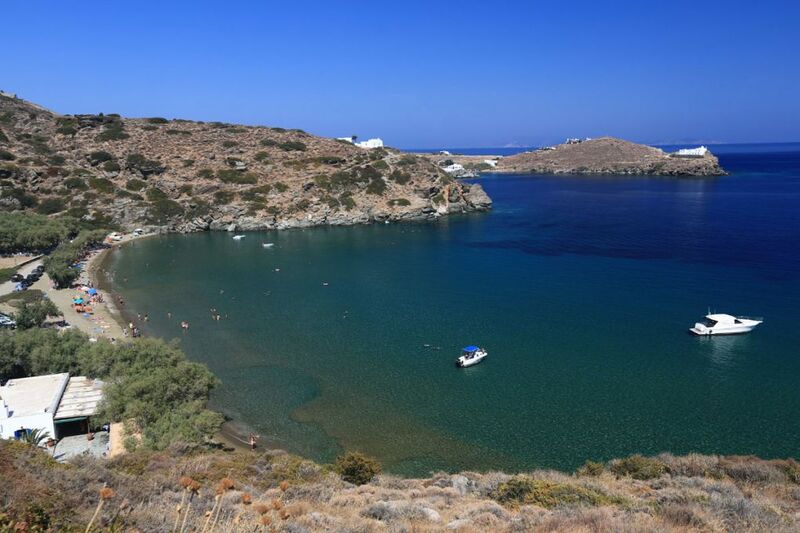 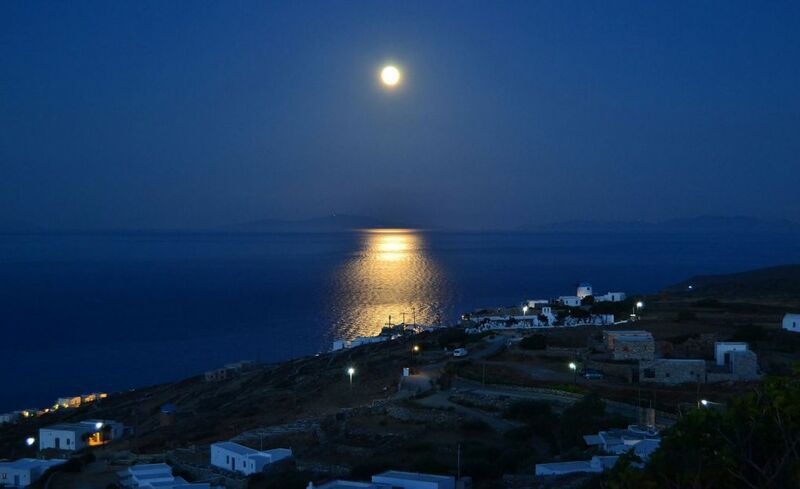 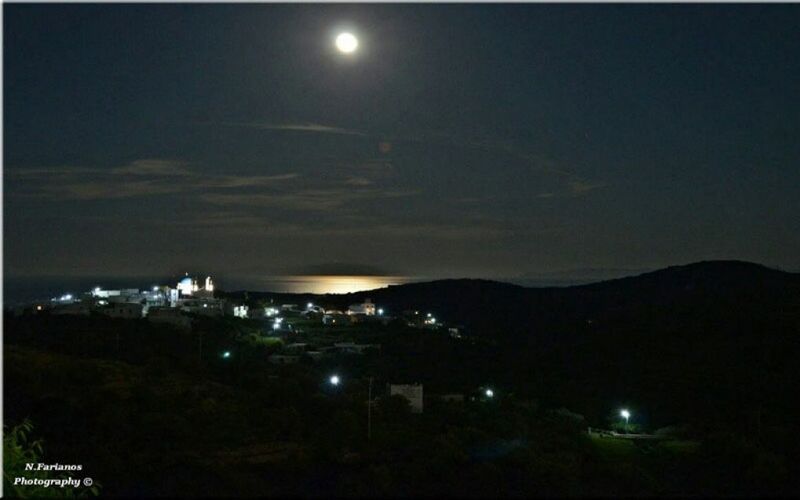 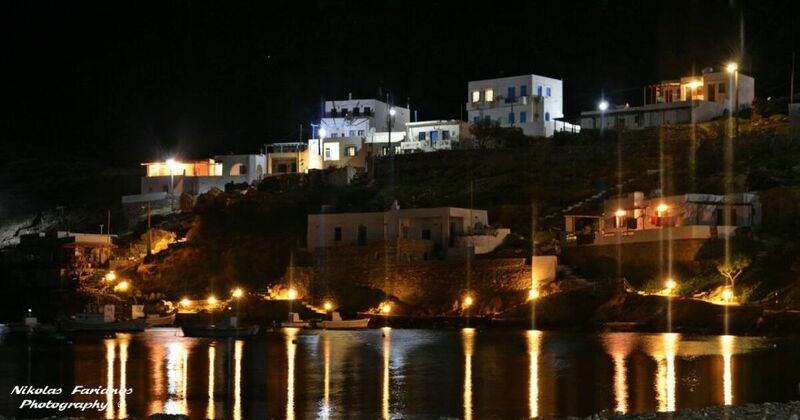 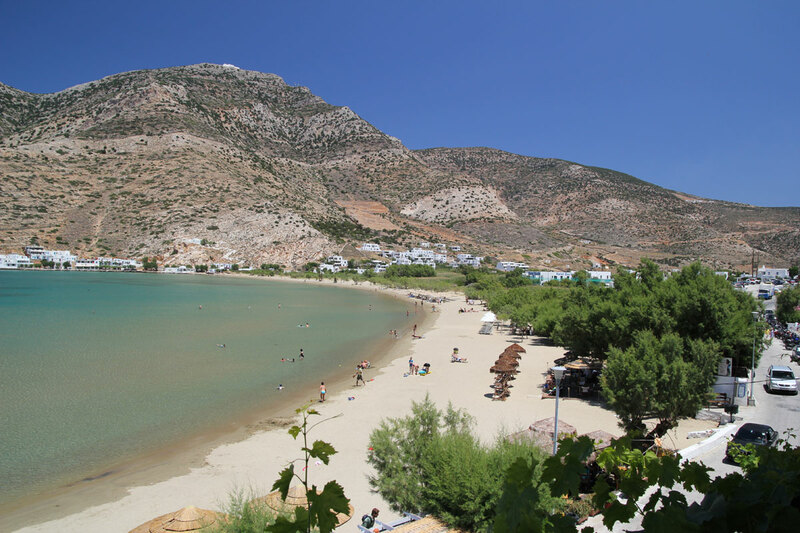 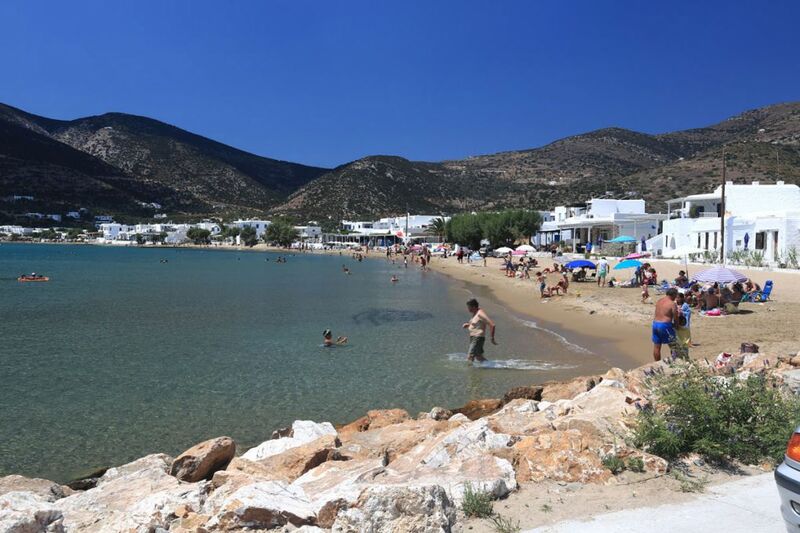 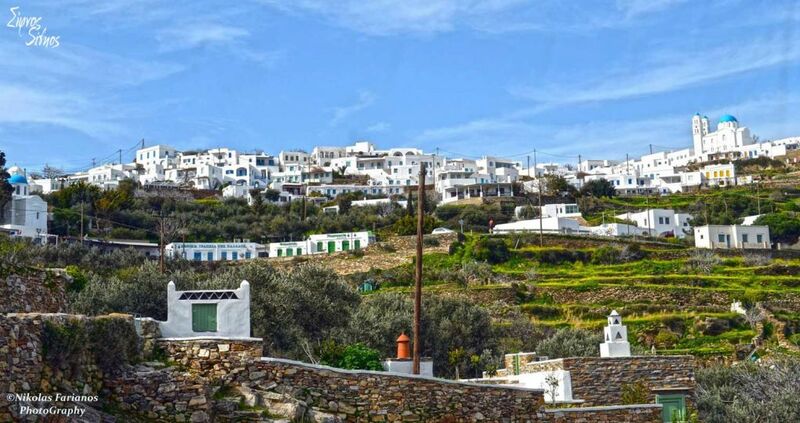 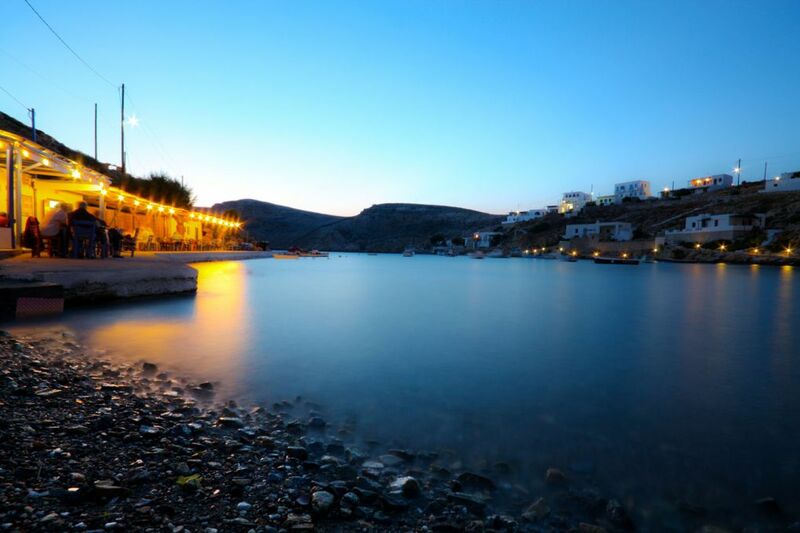 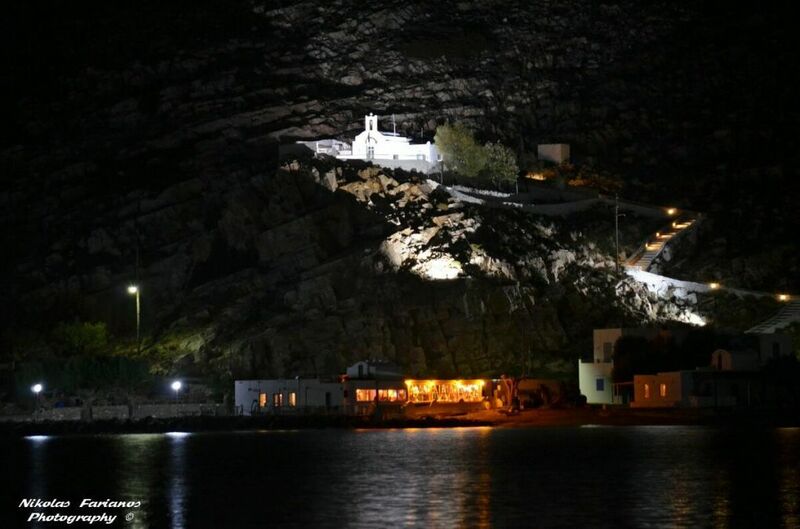 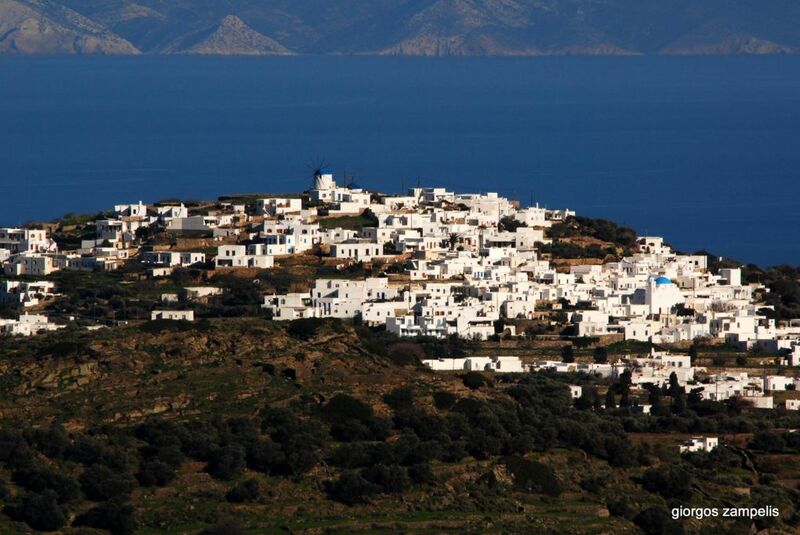 On the cape of Chrissopigi there is the homonymous monastery of the Virgin Mary of Chrissopigi (Panagia tis Chrissopigis) (1650), the patron saint of Sifnos. 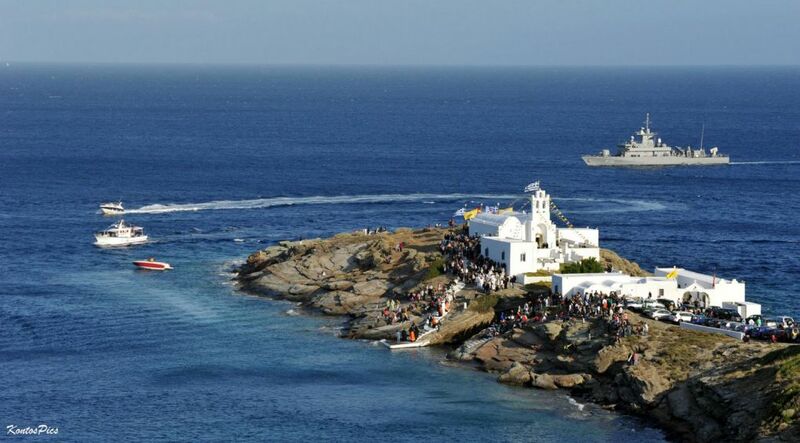 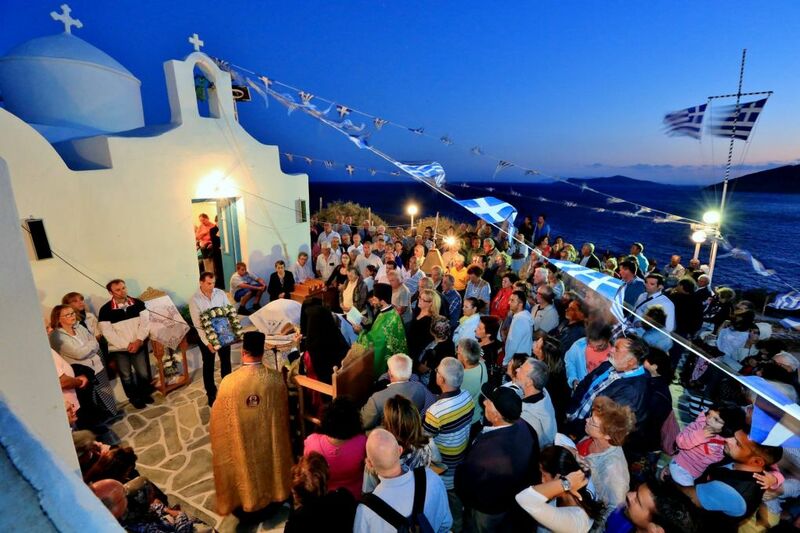 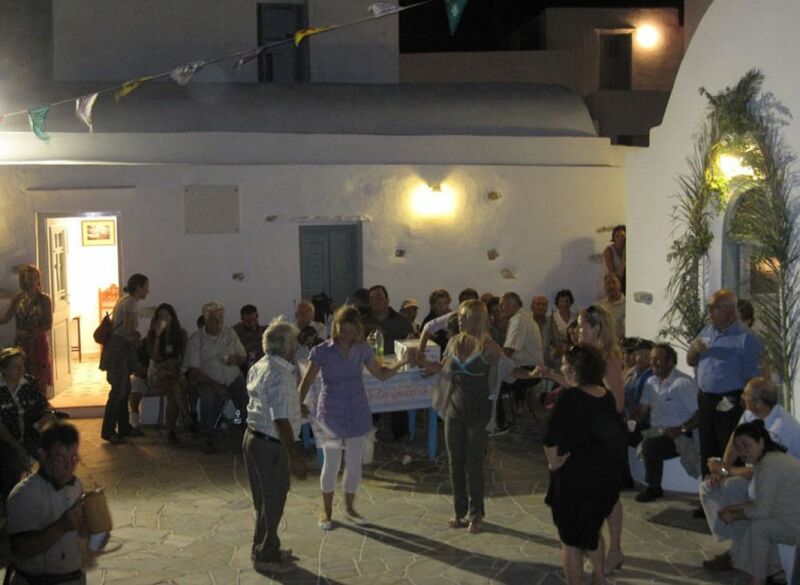 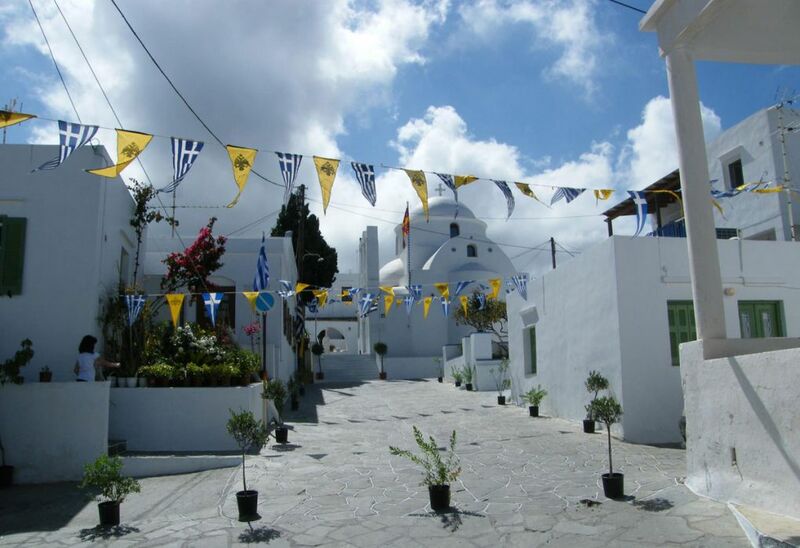 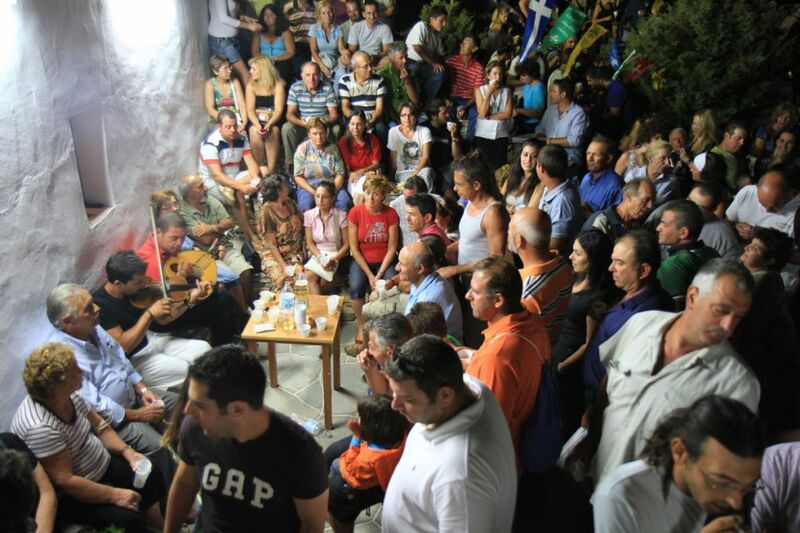 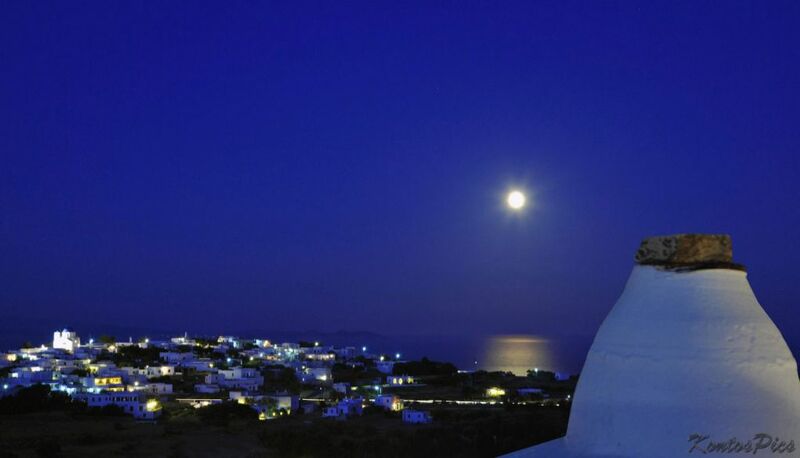 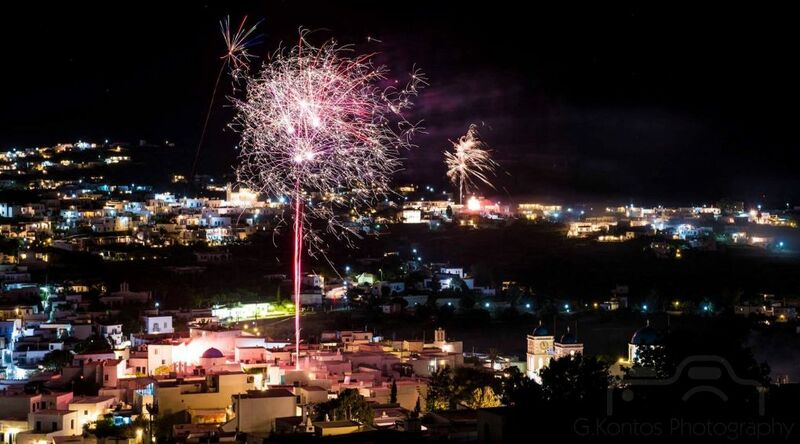 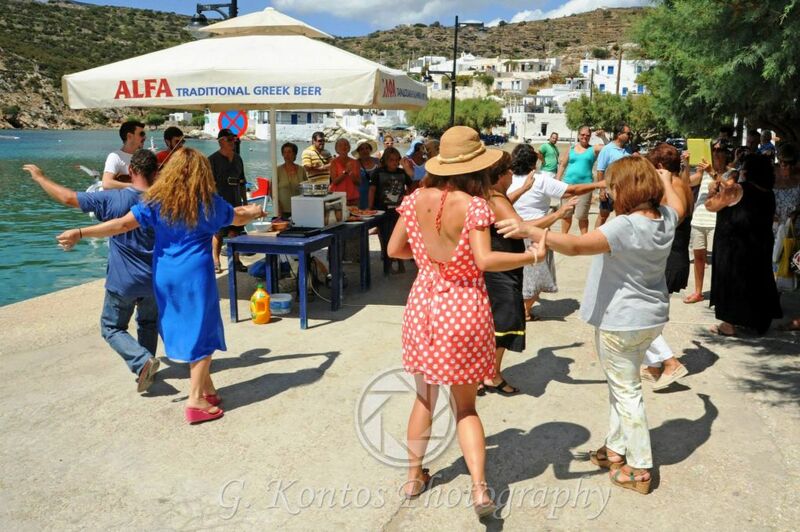 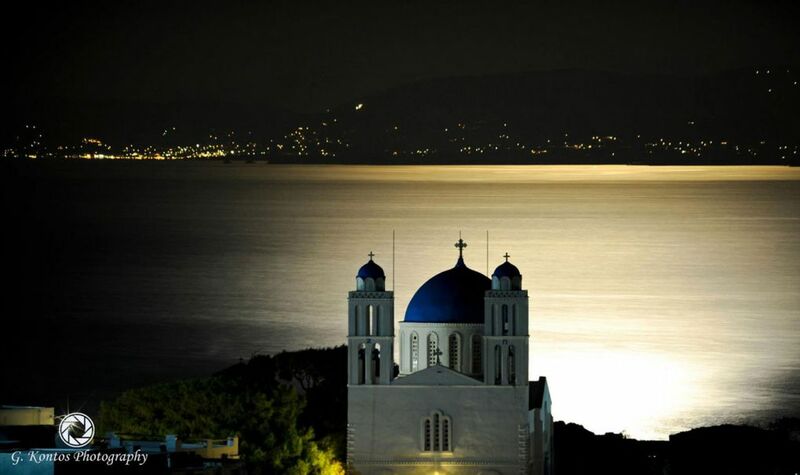 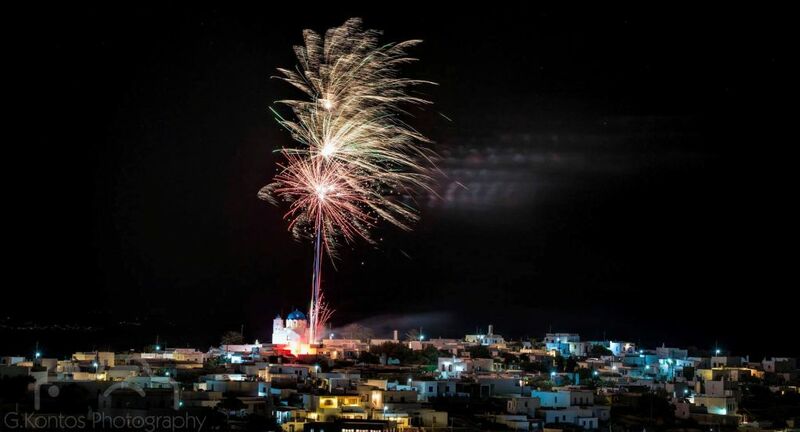 Its feast takes place the eve of the feast of the Ascension, in memory of her miracle, when people from all over the island and from other parts of Greece visit the church. 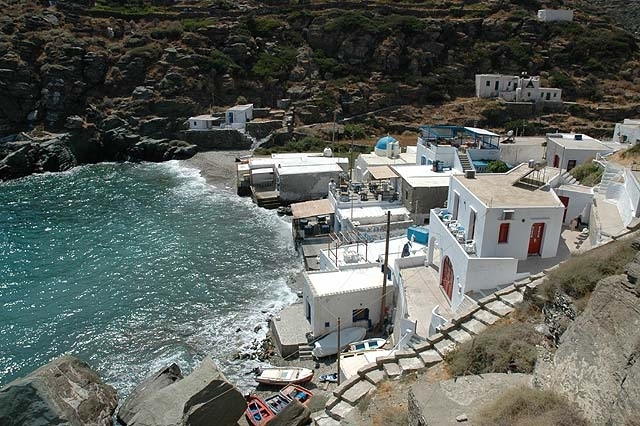 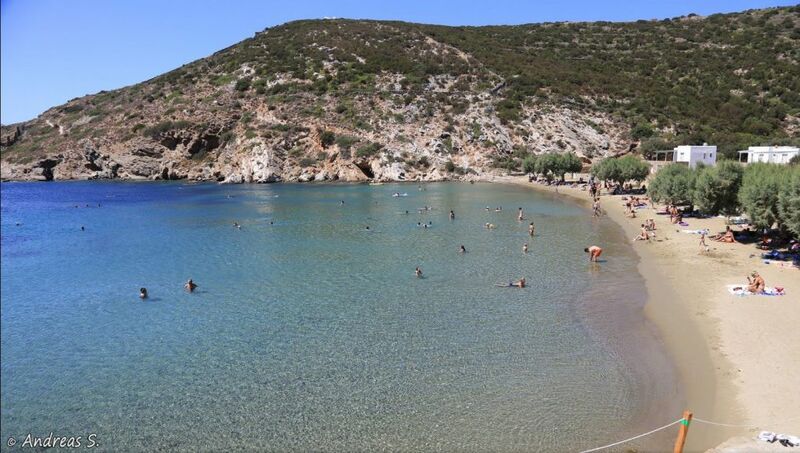 The rocks of Chrissopigi are the favorite place of many swimmers during the summer. 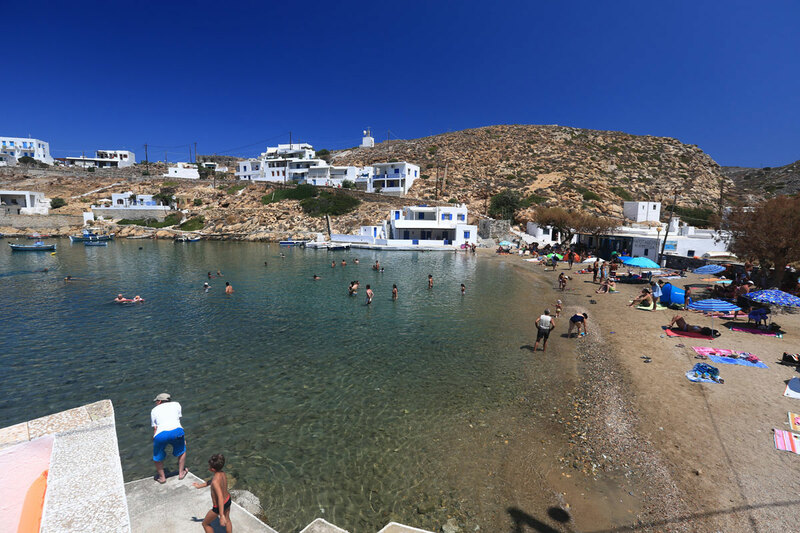 To the east of the church, there is the sandy beach of "Apokofto” with green-blue waters, unique buildings and two restaurants. 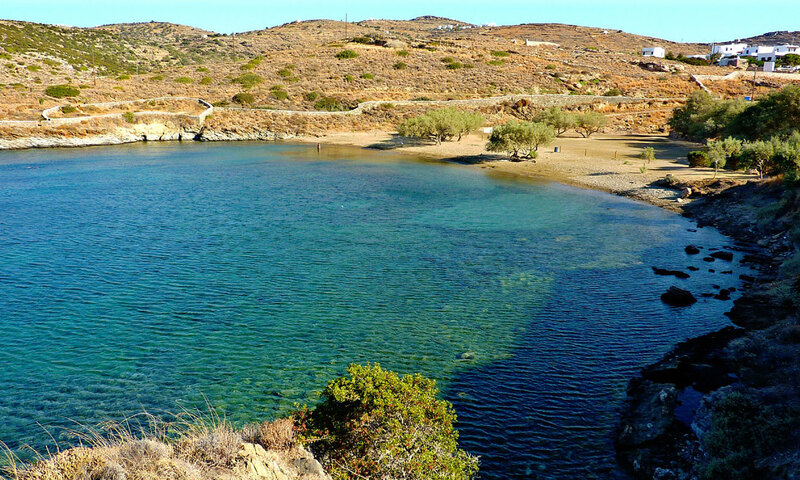 To the west, you will find “Saoures”, a small isolated pebble beach. 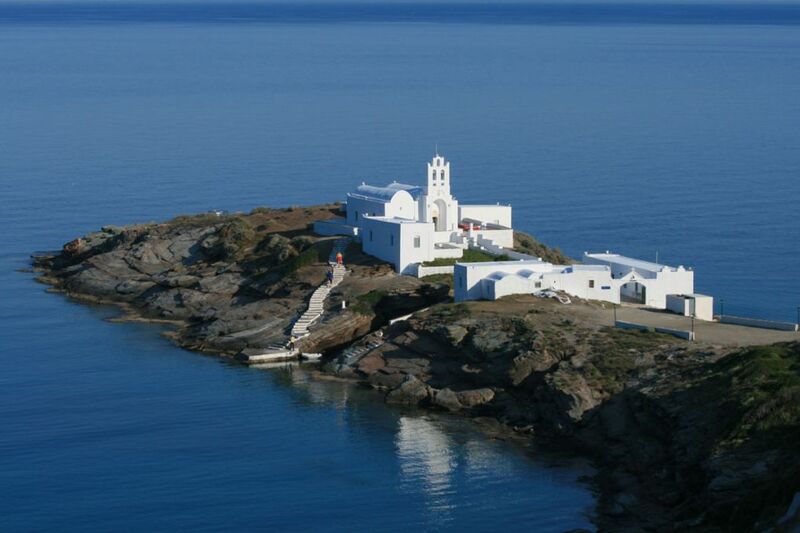 Among the sights of the area is the White Tower (Aspros Pirgos), which is situated near the crossroads of the roads leading to Platis Gialos and to Chrissopigi and which is the most famous and the best preserved tower out of the 76 ancient beacon towers of the island. 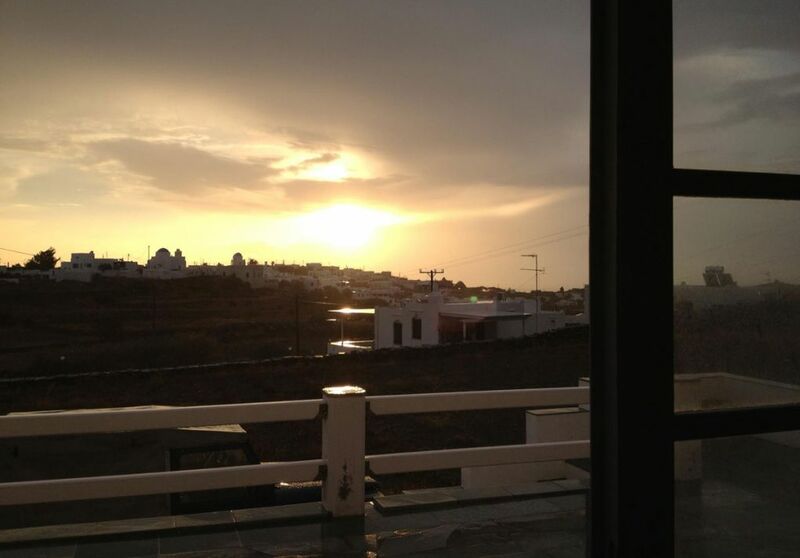 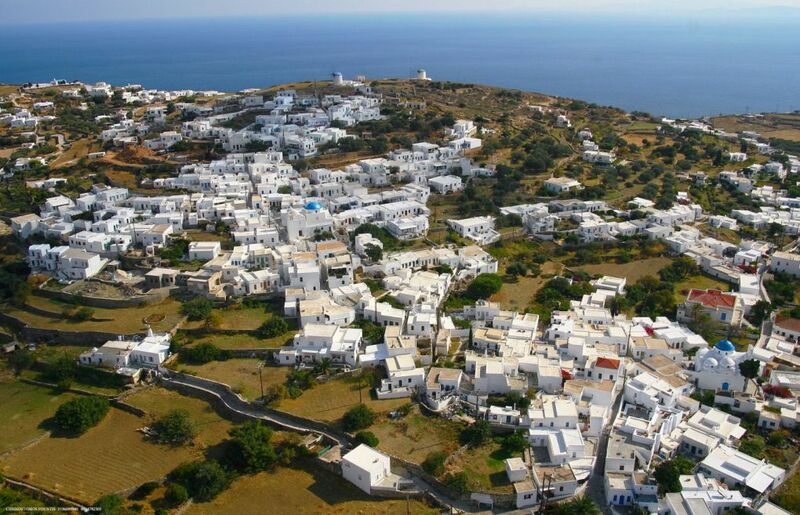 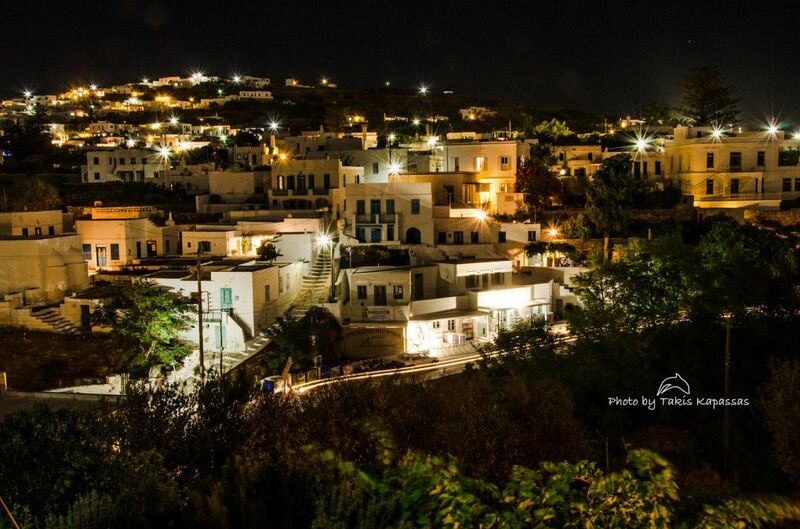 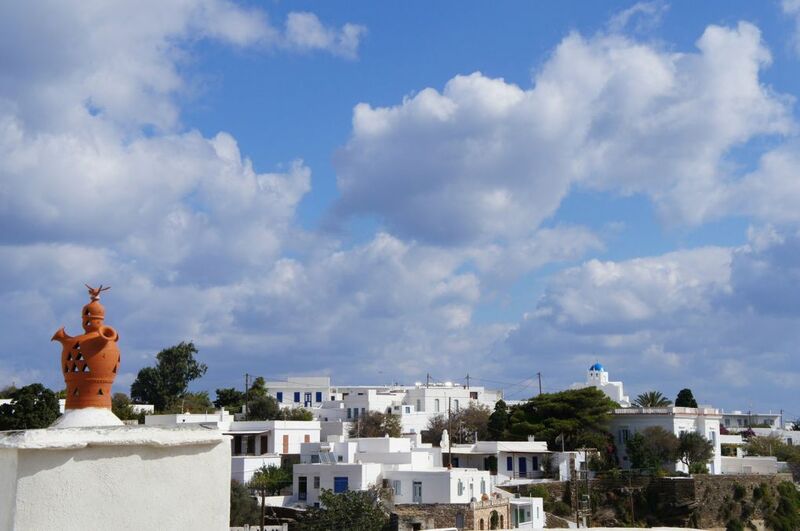 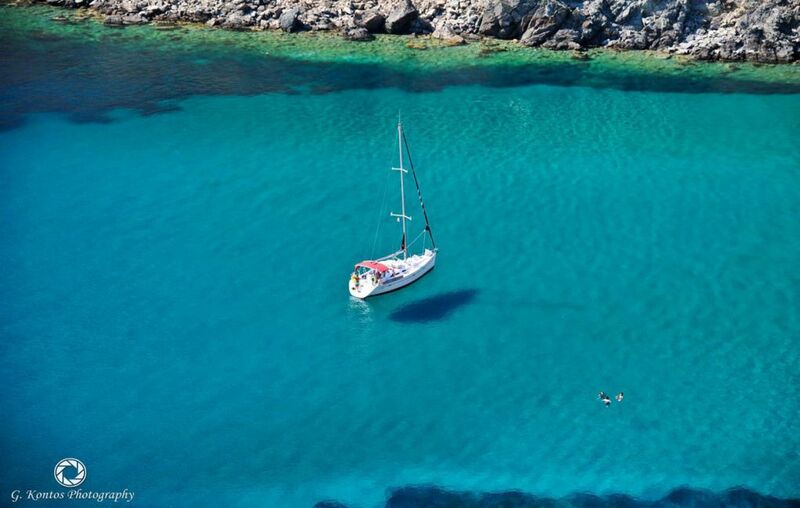 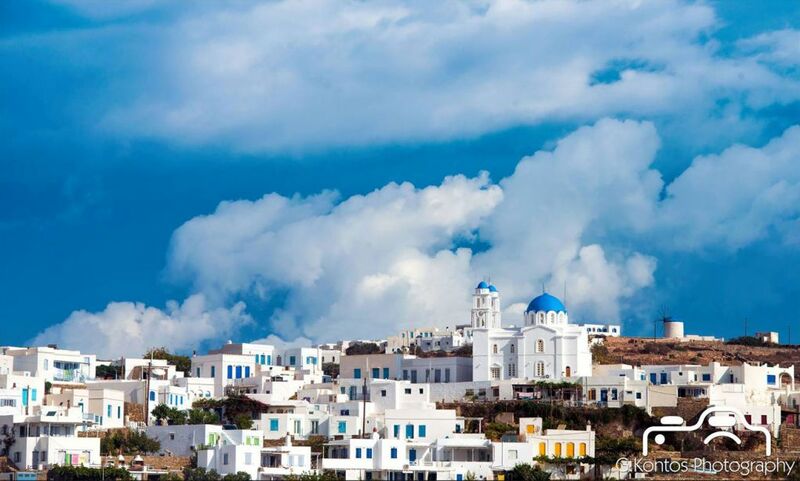 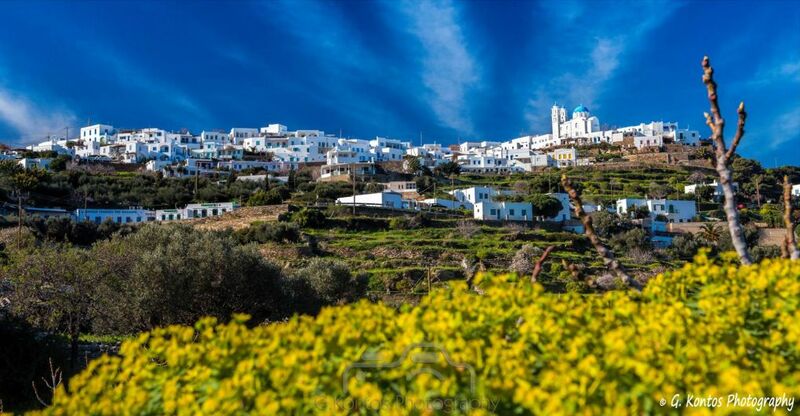 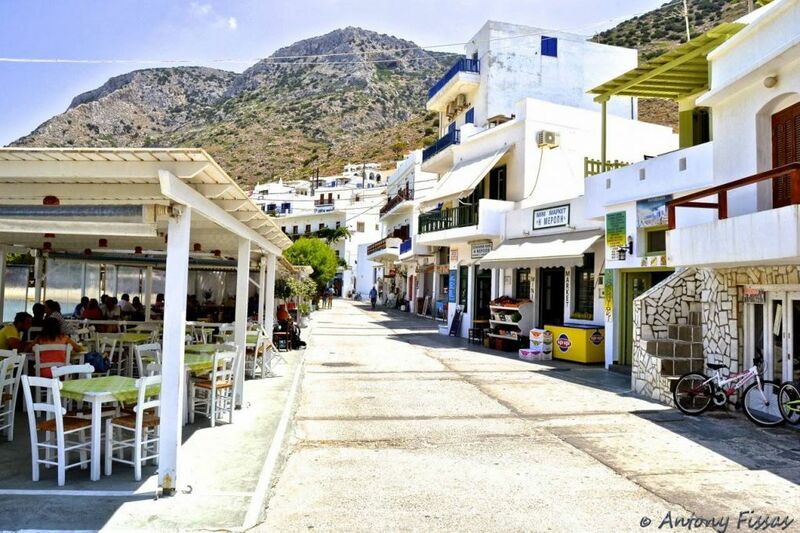 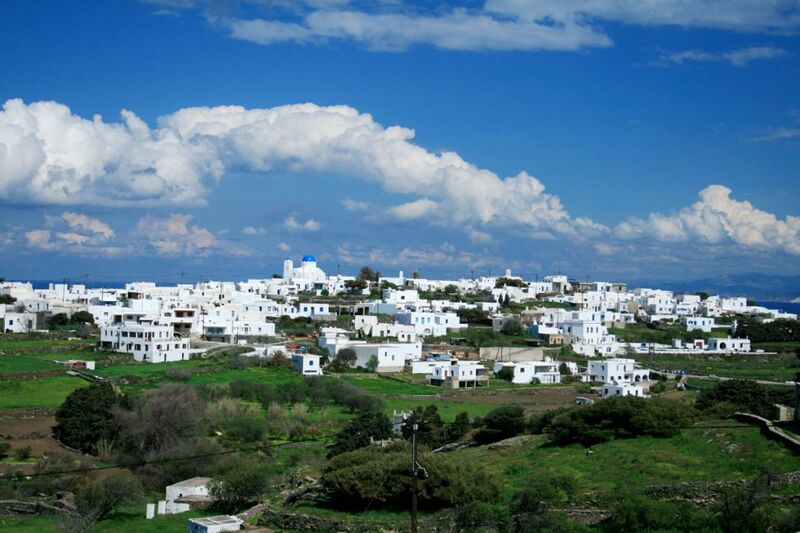 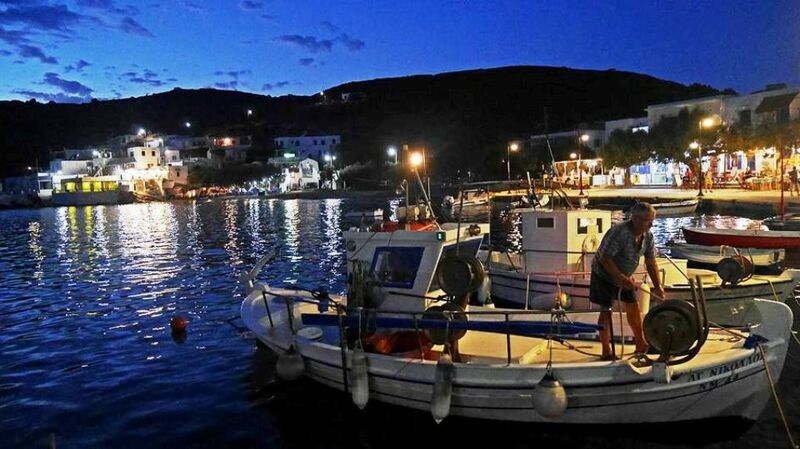 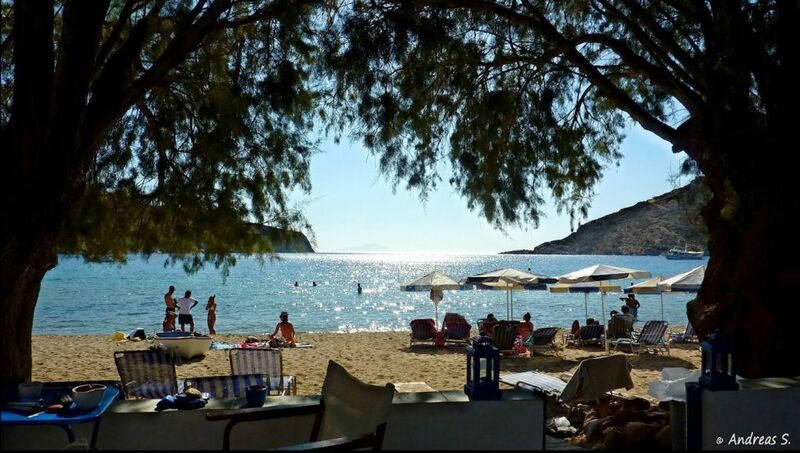 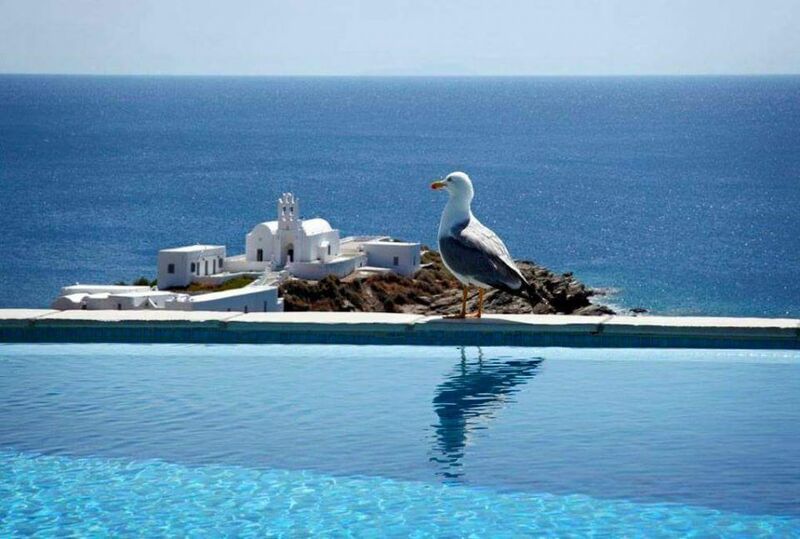 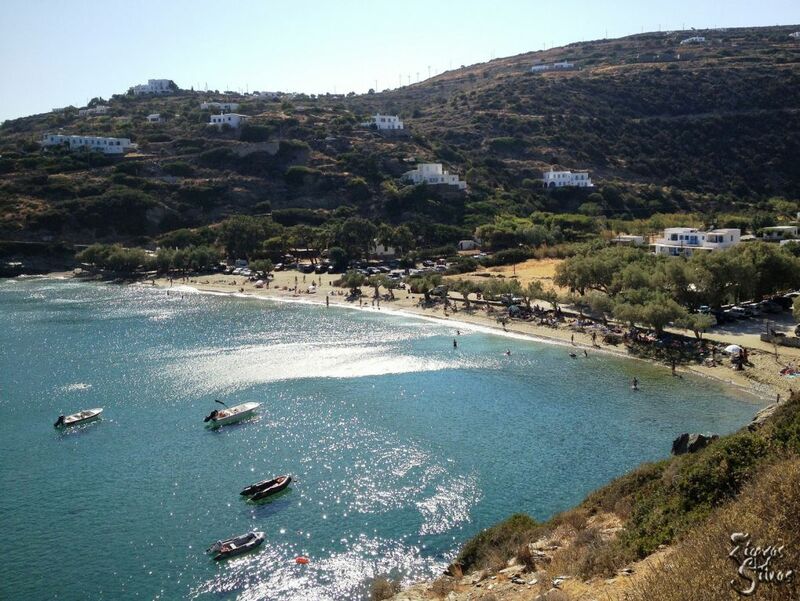 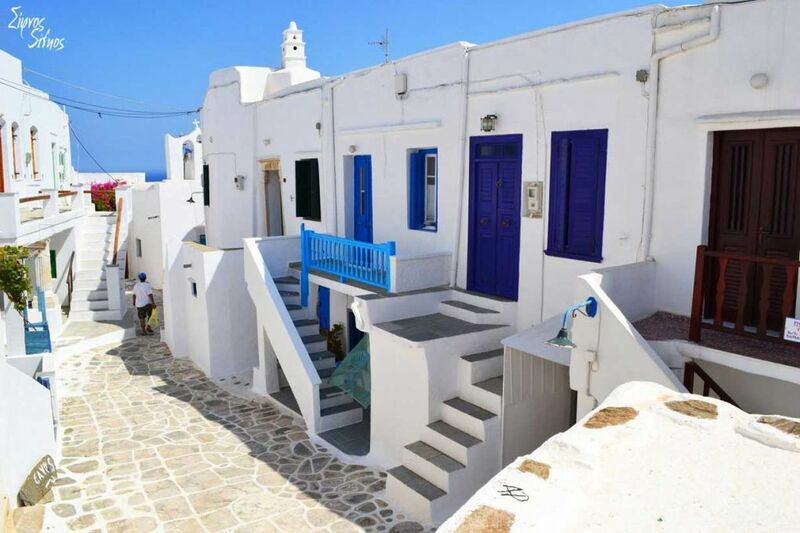 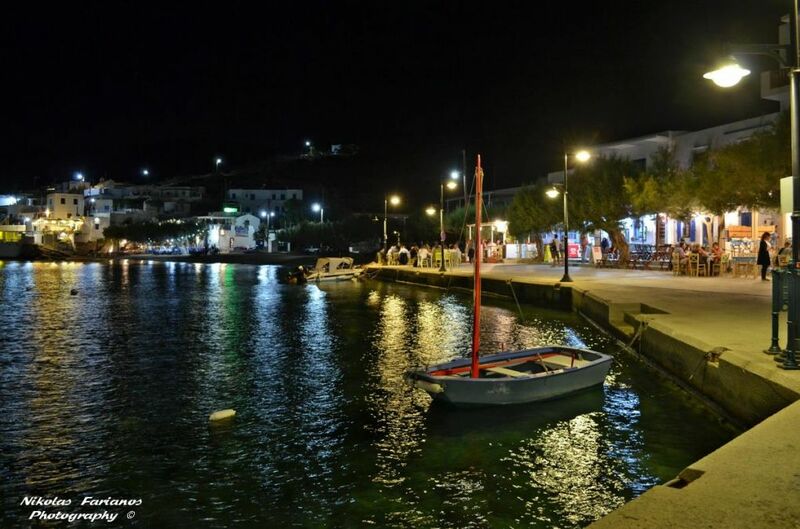 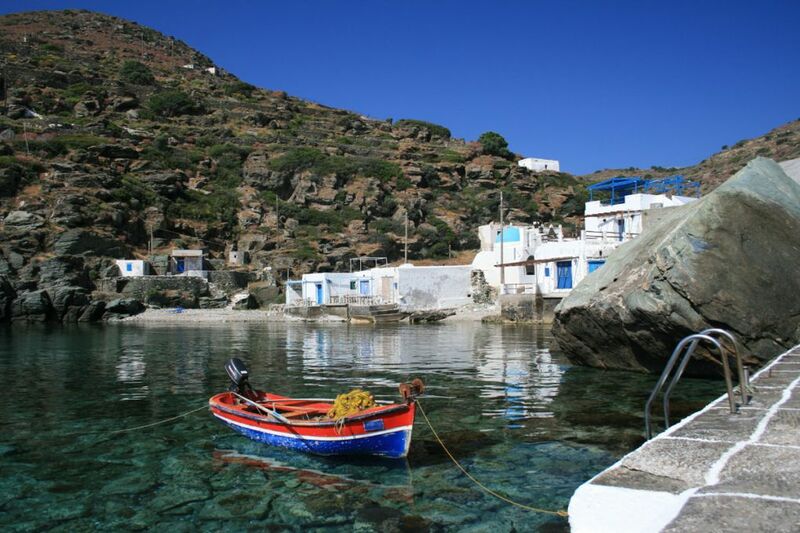 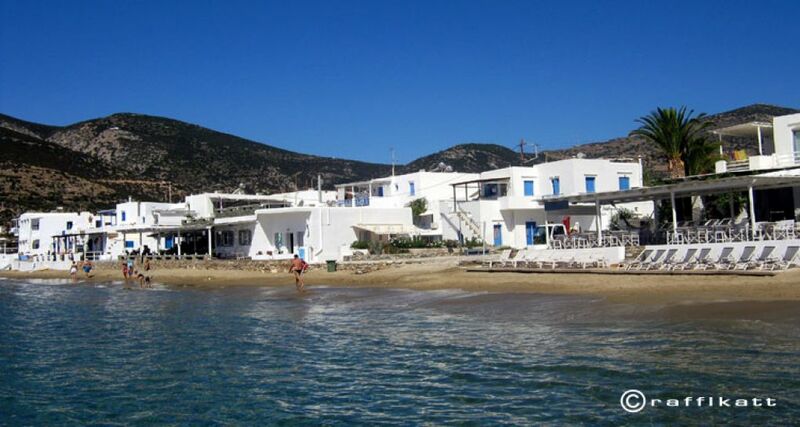 In the wider area of Chrissopigi, there is a grocery, a hotel and a few rooms to let.